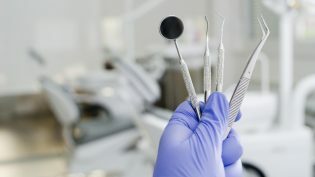 We know that visiting the dentist is not on many people’s favorite things to do list, so we take it seriously when it comes to ensuring that your visit to Classic Dental Smiles is as pleasant as possible. Here are just a few of the ways we work to make you comfortable at your visit to your Rancho Bernardo dentist. When you come into our office, you’ll be greeted by our experienced, welcoming staff. We believe that a friendly smile goes a long way in making you comfortable and helping to alleviate any anxiety you might be feeling. We are happy to answer any questions you might have. Our entire office has been decorated with you, the patient, in mind. Wait times are minimal, but for the few minutes you have to spend waiting, we want you to feel right at home. We realize that some of our patients are downright anxious about visiting the dentist, and we are all very understanding about this. If you have had a bad experience at the dentist in the past, or if you find the sights, sounds, and smells of the dentist office unpleasant, we will help to make sure you feel completely at ease. We have found that noise-canceling headphones are very effective when it comes to reducing anxiety, so we are happy to offer this option. We also offer plush pillows and blankets to help you stay comfortable during our time in the dental chair. One of the ways we can make our most anxious patients comfortable is by offering oral sedation, using a variety of different types of medications. This is not “sleep dentistry,” where you are put under for treatment; rather it offers patients a heightened state of relaxation. You will feel somewhat drowsy while under the effects of the medication, but your anxiety will be alleviated. You will need to get a ride to and from your appointment if you opt for oral sedation. Don’t be hesitant to talk to us about any fears you might have. We want to develop a strong, trusting relationship, and we are happy to address any concerns you might have. Going to the dentist does not have to be unpleasant! Call Classic Dental Smiles today!